rEvolving Transportation: Old Infrastructure in Minneapolis tells our story - Save the Highway Trust Fund? 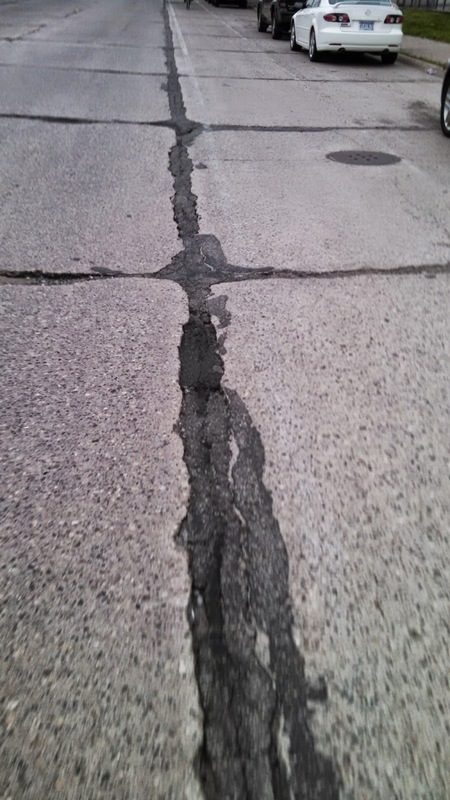 Old Infrastructure in Minneapolis tells our story - Save the Highway Trust Fund? 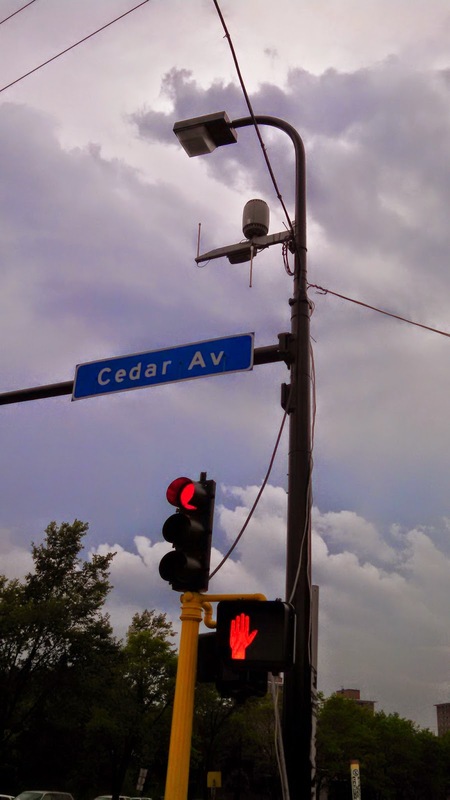 A visit to the neighborhoods of Minneapolis provided an opportunity to review some of the infrastructure that is common in big cities. There has been a lot of chatter about the Highway Trust Fund running out of money and the need for a reinvestment in our infrastructure. I agree with that knowing what I know about how our signals are falling apart because they are over 50 years old. 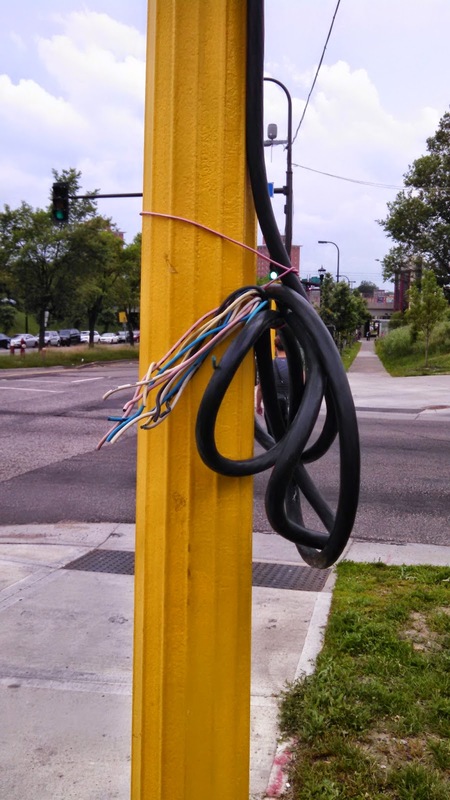 Here's a few examples where infrastructure reinvestment in Minneapolis would reduce the likelihood of failure. there aren't wires aerially throughout the intersection. the overhead wiring is a substitute. This sort of wiring is not standard. I am hopeful that there aren't more examples like this. 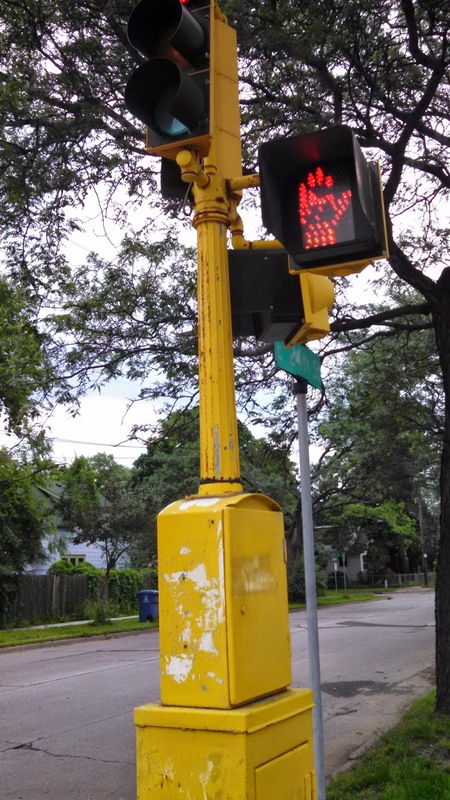 A combination traffic cabinet and signal pole. Portland has none of these, so this must date back 50+ years.